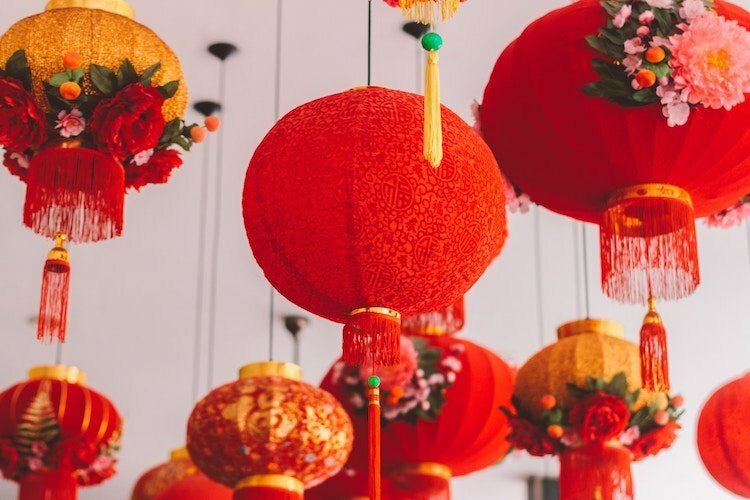 Chances are that you’ve already gotten your Lunar New Year outfit picked out and your manicure appointment in your calendar. Now spring clean some skincare bad habits and sashay into a full transformation with a thorough beauty routine upgrade. The journey to clear glowing skin requires some prior preparations. Visit an accredited dermatologist for a Medifacial (short for Medical Facial) customised specifically to your skincare needs. Non-invasive dermatological procedures such as Microdermabrasion gently exfoliates the outer layers of the skin, removing dead skin cells for facial rejuvenation and increased collagen density. Avoid picking your face to prevent excessive scarring and even more breakouts. Through microdermasion and vacuum processes, an accredited dermatologist would be able to extract the impurities on your skin in a safe and hygienic manner. Application of customised serums can help you achieve varying effects such as skin hydration, softening the skin for exfoliation and extraction and brightening effects to achieve a deep radiant glow. If an instant fix is all the time you can afford, opt for a multitasking mask rich in Vitamin C to help brighten your skin, soothe acne and lighten pigmentation scars. 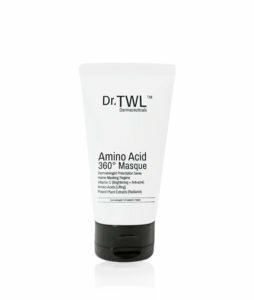 Set aside 10 minutes in your skincare routine for Dr.TWL’s Amino Acid 360º Masque. Its concoction of active ingredients (Vitamin C, Amino Acid and LARECEA™ Extract) penetrates deep into your skin to stimulate collagen regeneration while providing radiance, skin lifting and a smoother complexion. Refrigerating the mask has an added benefit of depuffing your face before applying your makeup. Looking fresh between house visits can be challenging under the scorching sun. Cool off between house visits with a facial mist that hydrates and protects your skin against external aggressors. However, not all facial mists are created equal, some products tend to leave a sticky film over your skin, causing the skin to appear tacky. Choose a facial mist that is quickly absorbed into the skin, hydrating it from within. 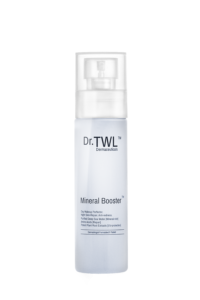 Dr.TWL’s Mineral Booster™ contains amino acids and purified mineral-rich deep sea water (harvested 600 metres below sea level) matchless in its healing and repairing abilities. It also contains potent plant root extracts that shield the skin from UV rays for fuller protection on top of your daily SPF. To top it off, the fine mist is refreshing and easily absorbed into the skin, the antidote to Singapore’s humid weather. To minimize breakouts while you’re travelling, accredited dermatologist Dr Teo Wan Lin, says to avoid touching your skin while you travel. “Our fingernails and fingers are full of bacteria which, to people who are already suffering from acne or are acne-prone, increase susceptibility with getting secondary bacterial infections when they pick their skin,” says Dr Teo. However, if the additional 5 mins of snooze time is monumental to you, it is likely that you will be applying your makeup on the go. And in lieu of that, we recommend you use an antibacterial hand wash or alcohol-free wipes on your hands to minimise contamination before touching your products and your face. As the day’s festivities slow down to prepare for the next, ensure that you go to bed with clean and deeply nourished skin. The assurance of clear and glowing skin is in the faithful maintenance and care showered in your daily cleansing routines. Double cleanse with Dr. TWL’s Le Lait™ Milk Cleanser to ensure that all traces of dirt and make up is thoroughly removed. 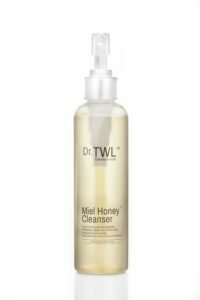 And follow up with Miel Honey™ Cleanser. Its medical grade honey which ensures that the cleanser’s antibacterial and anti-inflammatory properties create a delightful lather and foam for a deep cleanse without stripping the skin of its natural moisture barrier.